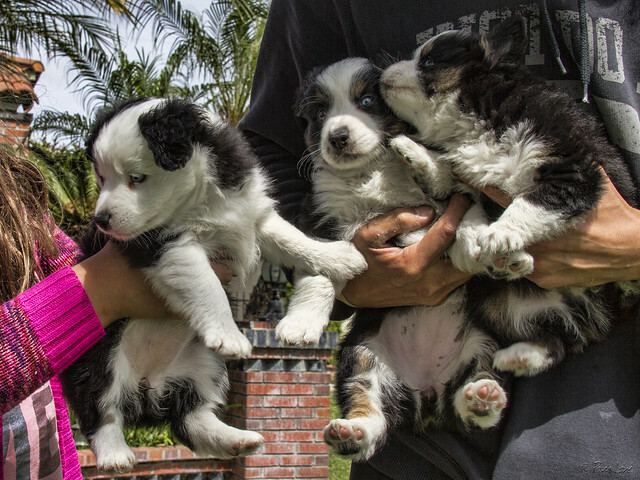 Downey Daily Photos: How much is that puppy? Puppies tend to steal the show wherever they crop up, which happens to be all over the internet. The same thing is true in the real world, where these three 2-month-old miniature Australian puppies playing in their front yard stopped me in my tracks. Who could resist? 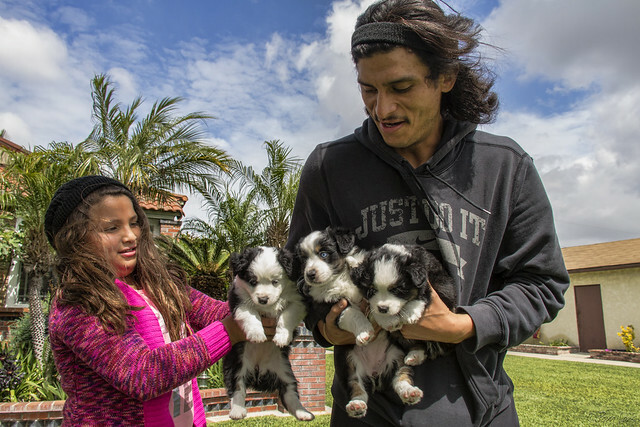 Tony and his niece were giving the three pups and their mom some play time in their front yard. Tony owns the mom and pop dog, and he's keeping one of the puppies. The other two are for sale, and they sure are cute!